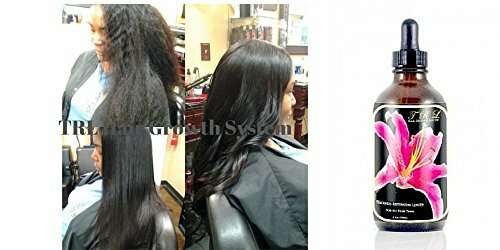 When you are the proud owner of an African American hair you know that are specific things you need to do as this type of hair has some specific needs just as well. Either you wear it natural or chemically relaxed, you do need to put some extra effort and attention to it. The black hair lacks a natural ability of moisturizing or to maintain moisturized for long time just as well. A good moisturize for the black hair would have to go deep into the hair shaft and you need to find hair products that are up for this difficult task. One of the essential things, if not the most important one, when it comes to black hair is to moisturize it. You have to always use hair care products that keep your hair moisturized on regular basics, as long as you want to have it nourished and healthy all the time. Coconut oil, for instance, is the type of moisturizer that also nourishes a black hair and is able to actually lock in moisture deep at the hair shaft. The coconut oil would be a first option, as it’s a plant-based oil extracted from the kernel of the coconut and contains lots of saturated fatty acids, lauric acid, capric acid and vitamins E and K. In its natural state, coconut oil has a high moisture-retaining capacity and doesn’t break down or evaporate easily. It’s able to penetrate the hair shaft, which is great for the black hair that is unable to retain moisture and dries out fast. Due to its high concentration of fatty acids, coconut oil is also nourishing for the black hair, giving it the protein that makes your hair strong, long, soft and shinier than ever. The great benefits of coconut oil go farther, as this oil minimizes also split ends, thinning and is efficient against dandruff also. You may use the coconut oil as a daily moisturizer on your wet/dry, natural or processed hair. Your hair remains soft, shiny and nicely perfumed. You can use the coconut oil for massaging your scalp to stimulate the roots and hair follicles and this translates into healthy hair growth. Another great oil for your black hair is the castor oil, a vegetable oil that comes from castor bean. It’s in fact a castor seed that comes from the castor plant and it makes your hair shiny, strong and healthy. Your hair is also soft, thicker and grows faster when using the castor oil. As a matter of fact, castor oil is used especially for hair re-growth and growth. It also contains omega-9 fatty acids that don’t let your scalp dry out and nourish your hair from the roots. It might seem a little bit off the top, but you can also use emu hair oil for your special black hair. It’s made from the fat of the Emu bird (the Australian bird) and keeps your scalp healthy, helping your hair to grow and thicken. The emu hair oil is moisturizing and has anti-inflammatory abilities, as it’s filled with healthy fatty acids (Omega 3, 6 and 9). It seems that this oil is also able to cure scalp problems like psoriasis, eczema and it soothes the scalp. You’d want to use the pure refined oil for your hair as the unrefined one is full of bacteria bad for your hair. The essential oils are known for ages for their power to increase health and beauty. They are in fact highly concentrated oil that’s extracted from the flowers of leaves of a plant. The essential oils keep at distance hair loss, improve re-growth of hair and fight against dandruff and dry scalp. They sustain scalp circulation and nourish your black hair roots. For best results, never apply concentrated oils directly to your skin or hair, but only few drops of the essential oil to a “carrier” oil. You can use as “carrier” oils for your essential oil: jojoba, apricot kernel, grapeseed, castor, sweet almond or neem. Using a good oil for your black hair is only a step when you want to take care of your special hair. You would also have to use a shampoo that moisturizes the hair without coating it with unnatural ingredients. The shampoo also has to stimulate hair, scalp and follicles, so a coconut based shampoo is a good choice. Don’t forget about deep conditioning on your black hair as this step moisturizes a lot your hair that is dry, dull or brittle. Luckily for you, the market gives you a good variety of products and prices also so it only remains for you to find the hair oil that is the best choice for you and …your wallet. 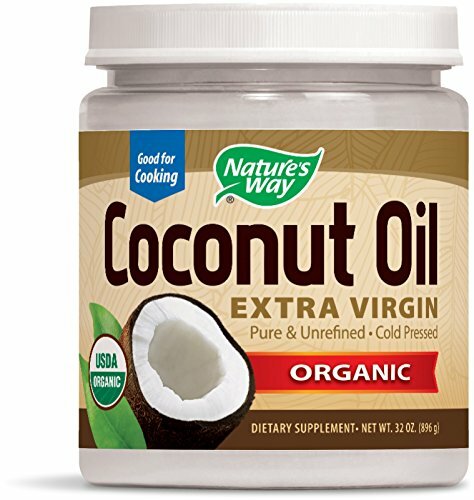 Versatile and amazing to use in so many situations, the Nature’s Way Extra Virgin Organic Coconut Oil is a great option for any black hair, no matter how you use it. The coconut oil is a natural energy source as it contains MCTs (medium chain) “good fats” that are used by your body to produce energy. You may also use coconut oil along your physical activity, exercise and weight loss programs. You can take it as a dietary supplement or when cooking. The coconut oil has a melting point at 76-degree F and t may get to you solid or as liquid. You can consume it both as liquid or as solid form also. When used on hair, your hair strengthens and gets moisturized and hydrated at the same time. Your hair is easier to style and nourished. Due to its natural abilities, the coconut oil doesn’t weigh down your hair and gives just as much as your hair need. You can use the coconut oil as a leave-in conditioner. Simply put it on your hair and keep it for 30 minutes. Your hair gest moisturized, nourished and hydrated. It becomes shinier, softer and easier to tame. The coconut oil is also anti-viral, anti-parasitic, anti-bacterial and anti-fungal. Therefore, it keeps at distance anything that it’s not good for your hair. The coconut oil doesn’t just smell nice, but it also tastes good. You may use it for your skin and the skin softens, hydrates and gets nourished. And, let’s not forget you may use the coconut oil also for cooking! Highly efficient and versatile, the coconut oil manages to give the black the hydration and moisturize that it always needs. Also used by the professionals, the Enjoy Hair & Skin Treatment Oil is a great, efficient and reliable oil for the dry, curly, tangled black hair. The oil has a lightweight formula and absorbs fats into hair and skin, helping your hair dry faster. The oil is good for conditioning your hair and makes it shiny, smooth and frizz free. It moisturizes your hair and locks it this moisture also. The oil is alcohol free and fits all hair types, not only black hair. You can use it for various dry skin areas: cuticle, nails, feet, hands and elbows. The oil has anti-frizz benefits and doesn’t weigh down your hair. It tams your frizzy hair and makes it smooth and soft. The color safe formula of the oil makes it a good choice for all hair types, including color treated hair. The oil features anti-fade system for durable color and its protective formula maintains the color vibrant and bright for long time. The hair becomes softer and shinier when using the oil. Your hair grows healthier and repaired from previous damage or over-processing. All in all, the oil is efficient on many levels and gives good results on a dry, colored, black hair. Or any other type of hair just as well. 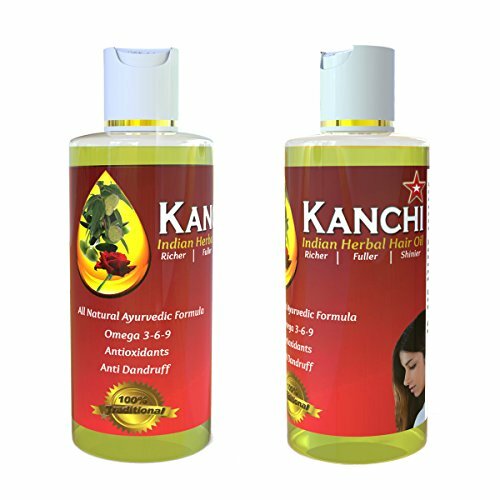 Giving your hair a tonic and fresh feeling, the Kanchi Indian Herbal Hair Oil is a natural Ayurvedic formula that contains traditional medicinal ingredients. The formula has a strong and efficient effect for your hair loss, damaged hair, but also if it’s dry or frizzy all the time. The oil contains only organic ingredients and is sulfate free, paraben free and cruelty free. It contains almond oil, cold press argan oil, Omega-3 fatty acids, vitamin E and magnesium just as well. We can also find in the oil peppermint oil, castor oil, organic grown Fenugreek leaves. All of these ingredients work on various scalp and hair problems and give a strong, efficient oil for your black hair in the end. The oil nourishes, rejuvenates and makes your hair stronger and healthier. As it’s also rich in antioxidants, the oil moisturizes and fights against dandruff, which makes it a great choice no matter if you are a woman or a man. In case of brittle or damaged hair, the oil is also efficient. Your hair becomes frizz free and easier to tame. When using the oil, not only your hair becomes healthier, stronger and free of previous issues, but it gets shinier, softer and well nourished. The oil moisturizes it and is great for conditioning your hair. Despite the cons, the oil is still a great natural, efficient formula for all your scalp/hair problems. 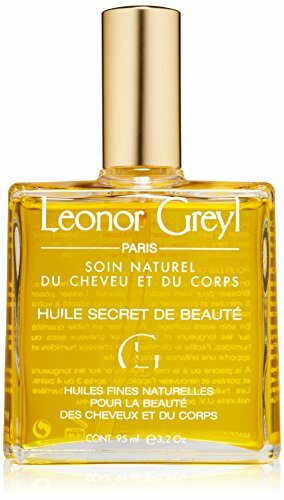 For a luxurious and luminous feel and appearance for your black hair, try the Leonor Greyl Huile Secret de Beaute. Award winner few years ago, the oil is a great combination of sunflower, sweet almond and apricot kernel oils. All ingredients repair and revitalize the skin and give your hair its shine back. The oil has a lightweight, silky texture and absorbs immediately into the hair and skin. Your hair gets healthier and your tresses become shiny without feeling greasy. The fragrance of the oil is subtle and nice and it wears aroma of yucca and lemongrass. Your hair ends up wearing a special herbal citrus scent. The oil offers also UVA/UVB protection which is so nice in the sunny days. Your hair gains back its strength, radiance. 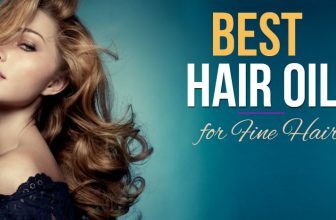 It becomes softer, smoother, frizz free and easier to style. On top of everything, you can also use the oil for body. But, if you are in the mood of pampering your black hair and give is a luxurious and shiny look, this is the oil to try. Strong and efficient, the L’Huile 50 ml by Opalis is the example that great efficient oils come in small recipients. The oil goes deeply into your hair and is a non-greasy treatment oil that ensures intensive conditioning. It leaves your hair frizz-free and strong. The Macadamia in this oil has the closest molecular composition to human sebum so this is whys it fits all types of hair, including black hair. The oil is rich in fatty acids that repair, calm irritation and treat scalp issues like itching or dry conditions. The oil contains Oleic acid that regenerates and moisturizes the hair, linoleic acid that prevents trans-epidermal water loss from the scalp and hair. The oil is high in hytosterols that protect the cellular membrane and structure of your hair cells. The oil sustains the hair cuticle to lie flat and so your hair becomes sleek, shiny and radiant for long time. As it also offers UVA/UVB protection, it’s better to use the oil before exposing to sun. You only need to use a very small amount of the oil as it’s very strong and rich. And, if you put too much, use it for the face as the oil has also anti-aging properties. The oil nourishes, protects and makes your hair smoother and stronger. Your hair is shiny, moisturized and frizz free. 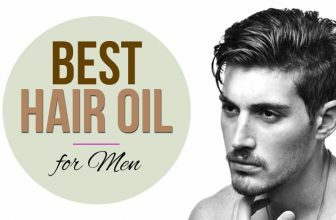 Despite the minor cons, the oil is a powerful, highly efficient product for your hair and is a good investment anytime. Versatile and useful in so many various situations and hair/skin conditions, the Pure Organic Virgin Coconut Oil for Hair, Skin, Body, Scalp and Hair Growth is a nice buy anytime. The coconut oil makes your hair softer, thicker and helps it grow just as well. The high grade, organic extra virgin coconut oil becomes a clear liquid and a pure silk white when solid. It doesn’t get through discoloration, rancidity, strong smell or taste. The coconut oil is rich in vitamin E and essential fatty acids so it’s efficient for various skin problems: dark spots, blemishes, wrinkles or age spots. As it has anti-bacterial properties also, the coconut oil works on itchy scalp/skin, eczema or psoriasis. The coconut oil contains great nutrients and minerals for hair. It goes deep in your hair and may be used as a hair mask, deep conditioner or hair treatment. It’s a solution for the damaged hair as it sustains its healthy growth. The hair becomes shinier, thicker and frizz free. And, the oil also protects it against sun damage. The coconut oil works on many types of hair, including dry, wavy, colored, blonde hair. 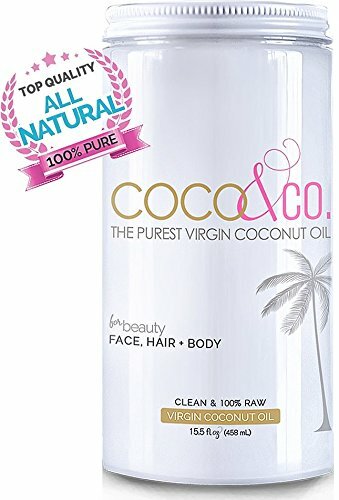 All in all, for a good price, you get an efficient, versatile and reliable coconut oil that works not only for your hair, but also for so many other beauties related issues. When you’re short on a budget and want some natural oil that is able to handle your black hair problems, try the Pura D’or Moroccan Argan Oil 100% Pure & Usda Organic. The oil is 100% pure and is made with 100% pure organic argan oil. The argan oil is cold pressed, unrefined and the oil has no chemicals. There are no chemicals, no synthetic fragrances, artificial colorants and the oil is also gluten free. It’s a hypo-allergenic product, color safe and made in Morocco. The oil is versatile and may be used for hair, body and face. It gives back to your skin its flexibility, diminishes wrinkles, fine lines. The oil is able to heal dry scalp and is able to treat many skin conditions. It works on eczema, psoriasis and dry skin. The oil is gentle, efficient and may be used daily. It’s great for moisturizing your skin and hair and leaves your hair smooth, soft and shiny. It keeps fizziness at distance and your hair is easier to style. Your hair is no longer brittle, dry or damaged. A little goes a long way and the oil wears a nice fragrance. It doesn’t weigh down your hair and nourishes your hair just as well. The oil is a natural, chemical-free formula that is quite efficient for your hair, skin. All in all, for a small price, you can get a decent, efficient, natural oil that works for your black hair. 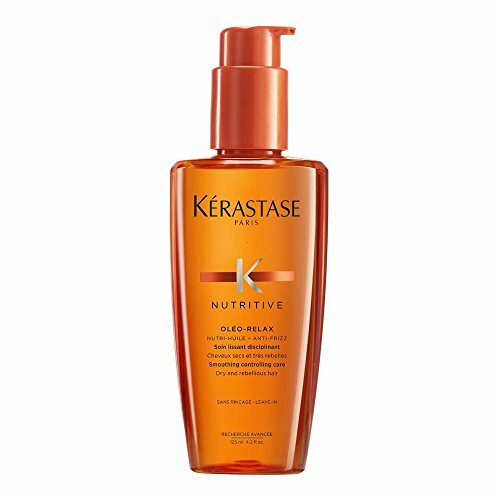 If you are determined to keep your black hair all natural, the Kerastase Nutritive Oleo-Relax Serum is a great option to try. The nutri-huille complex nourishes your natural black hair, whereas the Shore seed butter and the essential palm oils hydrate and soften your hair. You may use the oil for the perfect, final touch when styling your hair. The oil makes the hair soft, smooth and frizz-free. Your natural black hair is easier to manage just as well. The split ends disappear and the hair is frizz-free for a very long time. A little goes a long way and the oil is going to last you some time. It doesn’t weigh down your hair and it wears a nice fragrance. Your hair becomes shiny, smooth and has a nice look. All in all, you get an efficient, long lasting hair oil that makes your hair shiny, smooth and easier to manage. 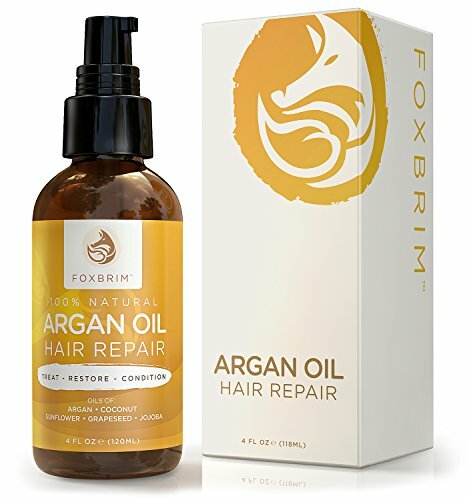 The Foxbrim Argan Oil Hair Repair is efficient on your black hair as it makes it shiny again. The oil contains an all-natural oil combination that takes care of your hair from the root to the tip. The oil moisturizes, strengthens and repairs your black hair. The oil has a vegan formula and contains also sunflower oil that nourishes your black hair. The argan oil works on the hair cuticle repair, whereas the shea butter gives your hair volume and softness. The oil contains also jojoba oil, that makes your hair stronger from the inside out and grapeseed oil that nourishes the root for every strand, while sealing the moisture inside. You may use the oil treatment overnight, leaving it as a conditioner or you may use it as an anti-frizz solution. The oil makes your hair soft, shiny, easy to manage, frizz free. It also repairs the split ends, without adding more weight to your hair. As the cons are too minor to count, the argan oil is a healthy and efficient formula for your black hair. 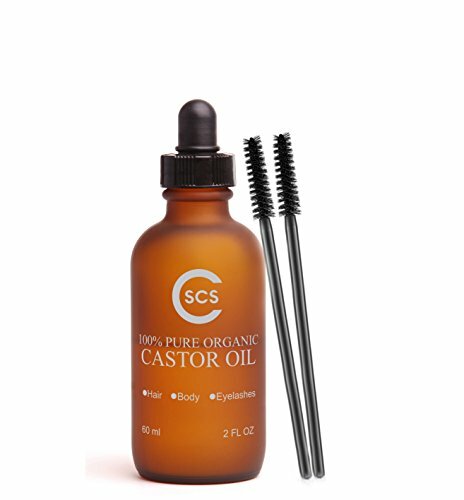 Highly efficient when it comes to hair growth, the 100% Pure Organic Cold Pressed Castor Oil for Hair and Eyelashes is able to make your hair longer, nicer and fuller. The castor oil is well known for its ability to grow hair, but it’s also a great moisturizer, which makes it a great choice for the black hair anytime. The castor oil is natural and organic and gives your hair strength and fights against dandruff, just as well. It keeps at distance hair loss and helps stem hair loss just as well. 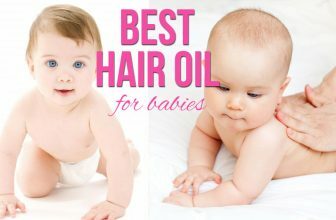 The 100%Pure Organic Castor oil is made in our USA so it’s a good quality that respects strict guidelines. The castor oil contains also Vitamin E, essential Omega 6 fatty acids and rich nutrients. It lowers the hair loss and hydrates dry skin also. The oil nourishes hair follicles deep within the roots so it sustains recovery of damaged hair and the healthy growth at the same time. Your hair (and eyelashes) becomes softer, smoother, longer and shinier. As it comes with antiseptic and antibacterial properties, the castor oil may heal your hair when in need. 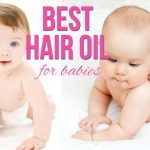 All in all, as it encourages the growth of your black hair, while giving it back its shiny, softness and health, the castor oil is a reliable option to consider anytime. 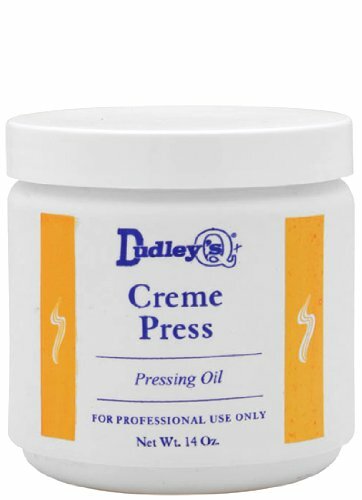 Even though there are many products out there, the Dudley’s Crème Pressing Oil is a good choice as pressing oil as it takes care of your hair and is always reliable. The creamy oil blend is made to coat and protect your black hair, especially before pressing it. The oil operates as a softening agent and it lubricates the coarse, dry hair. The oil has a light texture and it protects your hair from the damaging effects of thermal or blow dryer heat. It doesn’t leave a greasy feeling, has no smell and is orange. Your hair becomes silky, soft and shines. A little goes a long way and the oil might do you good for some time. You can use it efficiently when strengthening your hair. 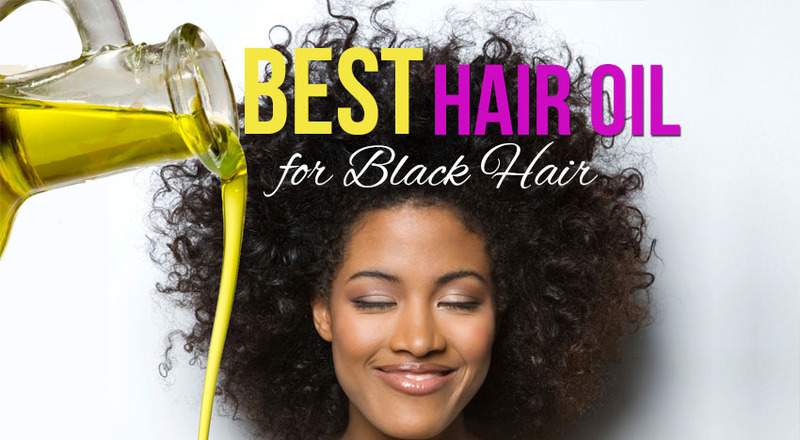 Despite the cons, the creamy oil is a reliable option for pressing your black hair anytime. Gone are the days when men didn’t care much about their looks or payed no attention to beauty products. Nowadays, most men are interested in looking better and using better products for their body. The same principle applies when it comes to caring for the hair- a great asset for men and a great problem for some of them. The Agave HEALING OIL Treatment is able to put under control the black hair of men and much more. The non-greasy, lightweight hair oil is rather easy to use as it comes with a pump. You only need a bit of the oil to smooth, seal in and to add some shine into your black hair. The oil is able to restore and give a younger appearance to your hair. The hair becomes frizz-free, hydrated and the color remain bright and strong, thanks to the color-restoring sugars from the agave plant. The oil is light and gives strength to your hair, while maintain its colors and looks. 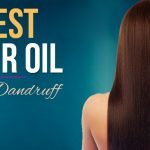 This type of oil brings improvements to your hair, without changing its outer layer. The oil doesn’t contain any parabens, sulfates or phthalate. It consists of agave sugars that hydrate and moisturize, wheat proteins that make the hair shinier and stronger. The oil has also vanilla and coconut which bring flexibility to the hair. The Madagascar Baobab seed oil nourish your hair. As the cons are too minor to count for us, we take the oil to be as a reliable option for any black man’s hair. Just because you chose to get your black hair relaxed, doesn’t mean you have to sacrifice your hair health. The Super Strength Hair Repair and Growth Oil gives your hair roots the nourishes it need and moisturizes the strands at the same time. The oil is able to repair the dry, brittle, damaged hair and it sustains hair growth, keeping hair loss at distance just as well. The oil works on your split ends and scalp infection, giving your black relaxed hair its health. In case you are fighting with 1st stage of Alopecia, Eczema or other scalp conditions, you may also use the oil. The oil contains natural ingredients like Jojoba oil, hemp seed oil, coconut oil, black castor oil, emu oil and olive oil also. The Monoi Tiki Tahiti oil made from the Tiara flower has great effects in some medical situations. The omega3, 6 and 9 add up and they moisturize deeply your hair. 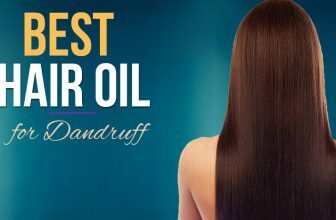 The oil is efficient as it prevents breakage, hair loss, thinning and split-ends. As it moisturizes and keeps your hair healthy, shiny and soft, the oil is a good solution even for the relaxed black hair. When your hair is not only black, but also dry, give your challenging hair the treatment is needs. 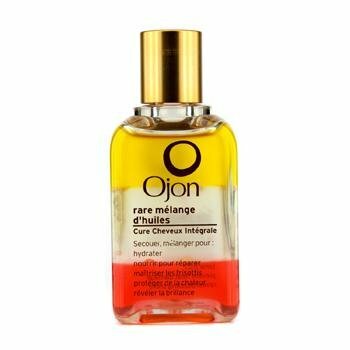 The Ojon Rare Blend Oil Total Hair Therapy is a rich multi-action hair oil treatment that presents three hair-reparative phases. Amber, Crystal and Red oil contains Ojon oil, which is full of essential lipids that you also find in the virgin hair. The oil has no parabens, synthetic fragrances, phthalates, GMOs or triclosan. The oil has also Tahitian Monoi oil that hydrates and protects your hair properties. The Tahitian Kukui oil makes your hair shiny, softer and smoother. It helps your damaged hair grow healthier and stronger. You need to give a good shake before using the oil so that all ingredients inside mix well. The oil has a lightweight texture and wear a subtle, nice fragrance. A little goes a long way and even if you use it several times a week, the oil lasts for quite some time. The oil nourishes and moisturizes deeply your black dry hair and puts the frizzy under control. Your hair becomes soft, smooth and well hydrated. Despite the minor cons, the oil hydrates, moisturizes deeply the dry black hair in most cases. If you want to take good care of your Afro-Caribbean hair and make it not only shiny, soft, but also to maintain the nice curls that you have, you can give it a try with the Darshana Natural Indian Hair Oil with Ayurvedic Botanicals. The oil contains 5 natural oils: organic Sunflower seed oil, olive oil, apricot kernel oil, coconut oil and castor oil. The Ayurvedic formula includes also antioxidants, Omega 3-6-9 and vitamins A, B, C and E. There are no mineral oils, parabens, sulfates, silicones in the oil. Darshana Natural Hair oil doesn’t contain any artificial fragrance either and it hasn’t been tested on animals. The hair is encouraged to grow healthy, softer, shinier when using the oil. The oil manages to repair the damaged hair, the split ends and keeps frizz away. Your hair gets detangled, without losing the nice curls. You also get to style the hair easier. The oil wears a nice fragrance and a little goes a long way. All the natural ingredients within the oil sustain your become softer, smoother, while maintaining its natural appearance. As the cons are too minor to count on the overall quality of the oil, we consider it to be a fair, efficient and reliable option for your Afro-Caribbean hair. There are several essential oils that are good for any black hair. While some have soothing effects, some are more efficient for the healthy growth of your hair, like the lavender or the rosemary oil. The Plant Guru Pure Therapeutic Grade Lavender Essential Oil is a lavender oil that may be a good carrier for other natural oils. It’s made with lavender flowers and has a thin, clear, almost colorless appearance. It wears a nice, yet strong aroma of lavender, combined with a woody, balsamic undertone. You may combine it with Chamomile, Citronella, Clary sage, jasmine, bay, lemon, rosewood, mandarin, orange, pine and so many others. Some of these oils are great also for the growth or for the health of your black hair: chamomile, sage, bay. Lavender 40/42 essential oil has a floral scent and combines various lavenders in order to give a good quality product. The Lavender 4042 is made of 100% natural ingredients and has a good percentage of Linalool and Linalyl acetate esters, for better Lavender’s floral notes. Despite these cons, the Lavender oil is still a great essential oil for hair growth or…other various situations.